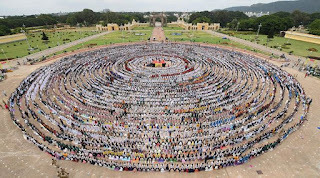 Now, in its third edition, Indians are all set to break the Guinness record for the Longest Yoga Chain. 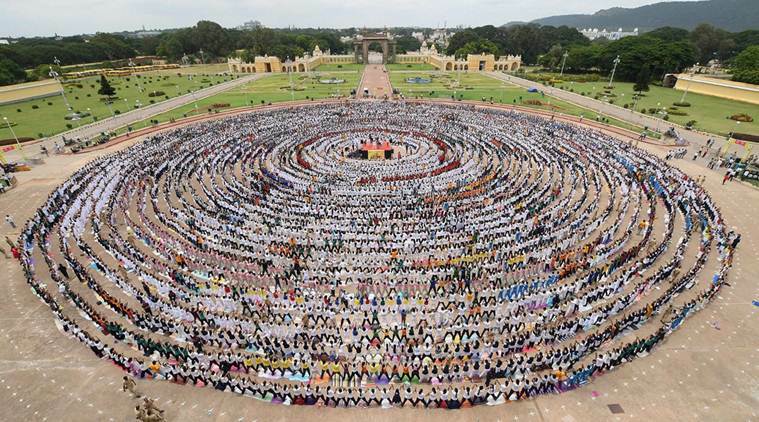 More than 8,000 schoolchildren formed the “longest yoga chain” in front of the iconic Mysore Palace in Karnataka on Monday to create a new world record. More than 44 schools across Mysuru took part in the record-breaking attempt that saw participation by 8,387 students. After hours of rehearsal, two attempts of yoga chain were made for the world record in accordance with the Guinness protocols. Drones were used to capture aerial images of the entire event where students positioned themselves in a circular pattern. There were also official time-keepers, who monitored the proceedings. The images and videos have been sent to the global agency and we shall have to wait until two weeks to confirm the news. 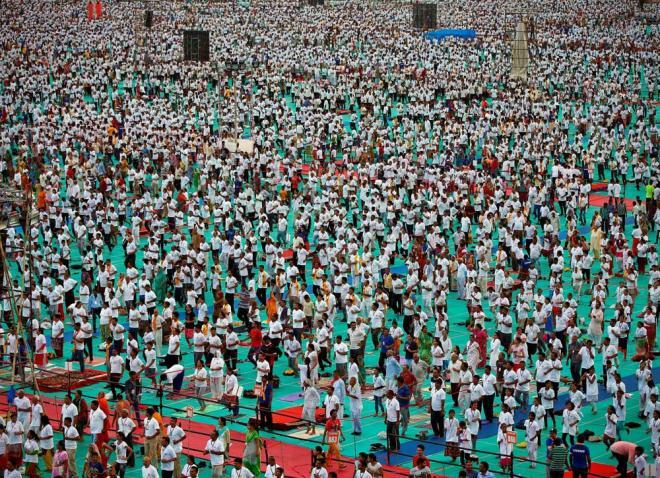 The third edition of the International Yoga Day was held under the guidance of Ramdev, where nearly 3 lakh people turned up to perform yoga. 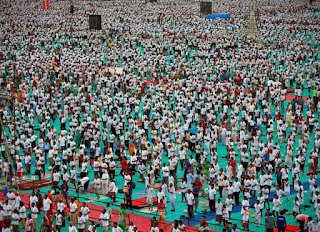 The previous record was made in Delhi on June 21, 2015, when 35,985 people did yoga at Rajpath with Prime Minister Narendra Modi.